Since 1982, the friendly and experienced staff at Park Cities Dental Group has accommodated all of the cosmetic and general dentistry needs of our clients in a warm and inviting setting in the heart of Dallas, overlooking the Katy Trail. Come in and you will find a group of highly trained dentists and staff that will provide the dental care services you need with the personal attention you’re looking for. Dr. Ted Smith provides general and cosmetic dentistry services such as crowns, bridges, dental implants, porcelain veneers and fillings, as well as extractions and TMJ treatment. He is also a Certified Provider of Invisalign orthodontics. Dr. Smith completed post-doctorate education at The Pankey Institute and earned his Fellowship in the International Congress of Oral Implantologists after training at the renowned Misch Institute. With an emphasis on patient comfort, artistic craftmanship and post-procedural care, this advanced training puts him as one of the top in the nation and one of only a few cosmetic dentists in Dallas to have earned this distinction. A native of Austin, Dr. Smith graduated from Westwood High School and The University of Texas at Austin. He went on to earn his Doctor of Dental Surgery from Baylor College of Dentistry. Dr. Smith joined Park Cities Dental Group immediately after graduation and continued his education with post-graduate training in cosmetic, restorative and implant dentistry. His mission is to provide exceptional dental health services to his community and the surrounding Dallas area. He lives in University Park with his wife and four daughters. The entire team at Park Cities Dental Group thanks you for taking the time to learn about our dental practice. Cosmetic dentistry is a big decision and we offer free consultations to answer any questions you may have so you feel comfortable and knowledgeable about your visit. Dr. Ted Smith is a member of The American Academy of Cosmetic Dentistry, American Dental Association, Texas Dental Association and Dallas County Dental Society and holds himself to the highest standards of the practice of dentistry. Dr. Phillip Allison provides general and cosmetic dentistry services such as crowns, bridges, dental implants, porcelain veneers and fillings, as well as extractions and TMJ treatment. He is also a Preferred Provider of Invisalign orthodontics. He is committed to the best possible dental care for his patients. Born and raised in Midland, Texas, Dr. Allison graduated from Midland High School. He attended The University of Texas at Austin, where he earned a Bachelor of Arts degree in Biology before moving to Dallas to attend Baylor College of Dentistry. Dr. Allison graduated from Baylor in 1999 and immediately began work as an associate dentist for a local practice. In 2002, Dr. Allison established his own practice in Dallas, and for the next 11 years he built a thriving business.In the fall of 2013 Dr. Allison partnered with Dr. Smith at Park Cities Dental Group. Dr. Allison and Dr. Smith are longtime friends and classmates from Baylor College of Dentistry. Dr. Allison has dedicated numerous hours to continuing education and professional development since he began his dental career. He is certified by the prestigious Pankey Institute in Key Biscayne, Florida and is a member of the distinguished ITI (International Team for Implantology), a worldwide collaborative focusing on clinical excellence in implant dentistry. Dr. Allison is one of a few Preferred Providers of Invisalign Orthodontics in the Dallas Metroplex. He also partners with area orthodontists to ensure his patients receive the best and most comprehensive orthodontic care available. 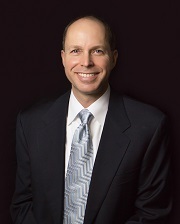 Dr. Allison is a member of the American Dental Association, Texas Dental Association and Dallas County Dental Society. He lives in University Park with his wife and two children. Dr. Justin Moseley provides general and cosmetic dentistry services, and is also a Certified Provider of Invisalign orthodontics. He strives to provide high quality, affordable dental care to all of his patients, while maintaining a comfortable, caring environment. 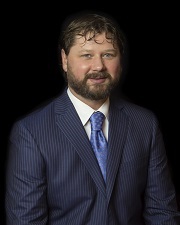 Dr. Moseley was born and raised in Dallas, Texas. He attended Jesuit College Preparatory School before graduating from the University of Texas at Austin with a Bachelor’s Degree in Biology. He then earned his Doctor of Dental Surgery from Baylor College of Dentistry in 2012. Dr. Moseley spent the first 5 years of his career gaining a wealth of experience and knowledge as an Associate for two very successful dental practices in Houston and Wylie, Texas before joining Park Cities Dental Group in the Spring of 2017. Dr. Moseley is committed to staying current with all of the latest dental technologies and techniques. He dedicates a substantial amount of time to continuing education courses involving dental implants, root canals, extractions, cosmetic crowns and veneers, orthodontics, as well as TMJ treatment. He is a member of the American Dental Association, the Texas Dental Association and the Dallas County Dental Society. Dr. Moseley and his wife, Carley, reside in Dallas with their golden retriever, Woodrow. Together they enjoy tennis, golfing, skiing, fishing and horseback riding.